Take some time to think about each one, they are actually lessons that I think all writers have to learn eventually. Just get the words on paper and then you can craft them. Writing really is hard work. 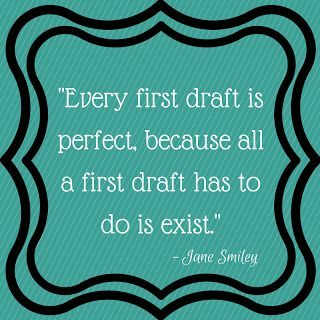 It’s okay to have a terrible first draft. You don’t have to do all the research right away. As you write, more ideas will come. Listen to your characters and let them tell you who they are. Making it up as you go is totally fine! If you learn something later on, it is okay to change your story to add it in. The story will bug you until you write it. Writing is really just self-discipline with a load of creativity attached. Writing does get easier as you go. Have fun! You are creating something no one has ever written or read before and that is exciting! It feels great to have written a book.